As I add more and more pages to this site, I hope you will find the forensic psychology information you require. However, I can’t claim to cover every aspect of every topic relating to forensic psychology. 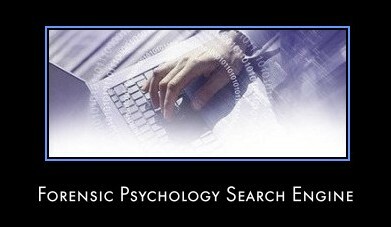 That’s why I've added this dedicated forensic psychology search engine on this page. Simply type in any word or phrase relating to your search and it will bring you a list of results. If I cover the topic on this site, you’ll see those pages listed at the top, followed by other sites that carry information relating to your forensic psychology search term.